Whether you are heading off to college, moving into a new house, or even just cleaning out your garage, Mini Storage Depot in South Bend, Indiana, is here to help you along the way. We are dedicated to providing you with the best in self storage. 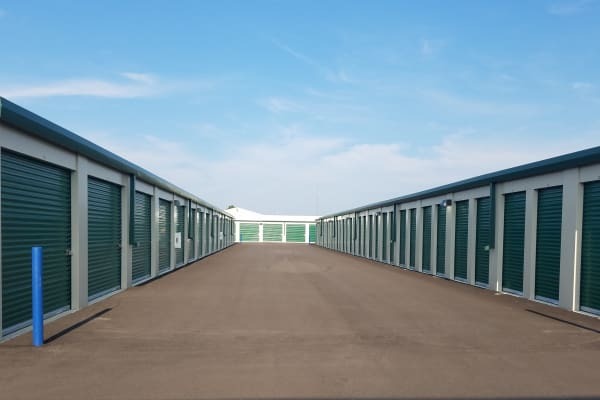 We offer temperature controlled storage units in a clean, secure environment. Our state-of-the-art facility features video surveillance, 24-hour access, 7 days a week, and the friendliest staff in the South Bend / Notre Dame area. Our professional management staff will be glad to assist you — we are here to help! Learn more about our South Bend facility features. Serving the South Bend area including Mishawaka, Osceola, Niles, Michigan, and nearby communities. Referral Special- you could qualify for up to 1 month FREE when you refer a friend! Turn right into Ameritech Dr.